Looking to enhance your company with bold moves and innovative ideas? Staying ahead of the curve is crucial in today’s business world, and disruption speakers can spark new growth within your company! Focusing on enabling companies and businesses with a competitive edge in the industry, Eagles Talent provides you with our top 10 disruption speakers to make sure your company thrives. NYU Professor of Innovation and Entrepreneurship, Luke Williams, shares the world of disruptive thinking with his audiences. 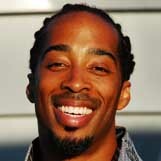 Williams wrote his first book, “Disrupt: Think the Unthinkable to Spark Transformation in Your Business,” in January of 2011. His ideologies have also been featured in publications such as the Wall Street Journal, Business Week, The Atlantic and NPR. 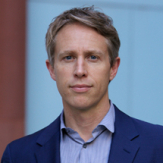 From creating new products and services to transforming organizational processes and behaviors, Williams enables his audiences to be proactive through disruptive innovation. Terry Jones acknowledges the fast-paced and ever changing approaches to entrepreneurship, and provides audiences with tangible step-by-step actions to implement in their companies. Jones’s knowledge on the subject of disruptive thinking is far-reaching, which he demonstrates in his book titled, “ON Innovation.” Through analyzing business models, Jones is able to highlight the importance of turning disruption into innovation. After in-depth disruptive thinking research, Krippendorff now strategizes growth with top corporations including Microsoft, Johnson & Johnson, and Citibank. Krippendorff’s most recent book, “Outthink the Competition,” dives further into business strategy, growth, and transformation. 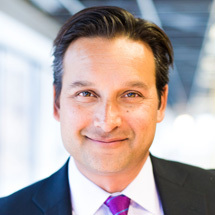 Krippendorff founded the growth strategy and innovation consulting firm Outthinker, and continues inspiring audiences with tools to outthink their competitors. 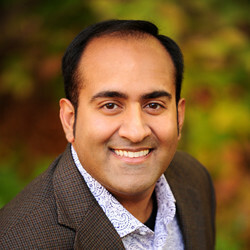 Founder of multiple companies, Rohit Bhargava practices what he preaches on marketing, branding, innovation, digital strategy, and actionable business trends. A dedicated speaker and entrepreneur, Bhargava is a two-time TEDx speaker, resulting in continuous ratings among the top speakers in the world. Bhargava’s knowledge does not go unnoticed, as his signature trend research report, called the Non-Obvious Trend Report, has been read and shared over a million times. From school teacher to world’s leading poetic voice, Andrews paved the way for inspirational speaking fused with poetry through his own company, Poetic Voice. Previous audiences for Andrews include Obama and Oprah, as well as sharing the stage with artists like Stevie Wonder, Jay-Z, and Kendrick Lamar. 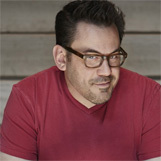 By disrupting the speaking industry with his unconventional performances, Andrews hopes to teach his audiences about facing your darkness, blazing your own trail, and making your own light. 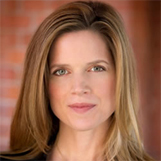 Polly LaBarre offers her creative expertise through the “Maverick Manual” to push companies past the status-quo in order to thrive. While change can be frightening, LaBarre assures her audience that inspiring, unleashing, and amplifying human creativity, passion, and resourcefulness is the most important work of all. LaBarre’s success as a disruption speaker can be seen in Fast Company, The New York Times, the Wall Street Journal, and the Harvard Business Review. 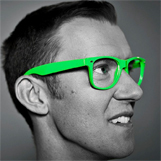 Erik Qualman breaks down the key ways to be successful in a WiFi World through sharing his top techniques for focusing, Posting-It-Forward & Being FLAWsome, with his audiences. Qualman’s goal is to assist companies in increasing their sales, cutting their marketing costs, and reaching consumers directly. By understanding the fast-paced changes of social media, Qualman equips his audiences with tools to drive long-term success. 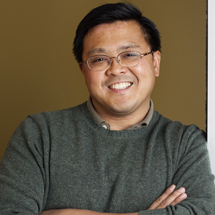 Alex Sion uses in-depth knowledge on banking, and works as an entrepreneur, educator and strategic digital advisor to leading institutions such as Citigroup, Barclays, and Royal Bank of Scotland. Sion focuses on the journey a company needs to take in order to succeed, and challenges his audience to throw away the old map and design new products, processes and customer experiences that will actually meet the needs of this market. 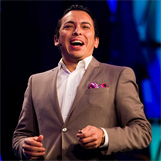 For Brian Solis, it’s simple: Break the status quo. Celebrated as one of the ‘Top 10 People to Know in Silicon Valley,’ Solis speaks to share his vision and help others understand the steps to creating a better business. Using the tools of communication, marketing, and publishing, Solis’s blog, which can be found on BrianSolis.com, is ranked among the world’s leading business online resources. Solis is also consistently ranked as one of the top speakers at some of the biggest events around the world including the Telstra Digital Summit in Australia, BDL Accelerate in Beirut, SXSW in Texas. 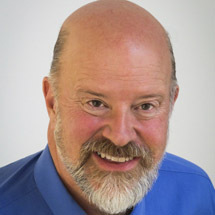 Best selling author, Leonard Brody, paves the way for start-up companies to raise millions of dollars through his book, “Everything I Needed to Know About Business…I Learned from a Canadian.” Brody’s wisdom is highly sought after, as he is currently a Co-CEO and Director of NowPublic, a pioneer in citizen journalism. NowPublic is also on its way toward becoming one of the largest news agencies in the world. Brody leaves his audience with helpful messages, reassuring them that failure is a fundamental part of our society and is an important step toward success. Are you ready to change the game? Book a disruption speaker who will inspire growth in your company by visiting www.eaglestalent.com or calling our office at 1.800.345.5607 for more information. This entry was posted in Speakers Bureau Trends and News, Top 10 List of Keynote Speakers and tagged Alex Sion, author, Brian Solis, business, Business Entrepreneurship, digital marketing, disruption, disruption speaker, eagles talent, eagles talent speakers bureau, Erik Qualman, Futurists, innovation, innovation and creativity, innovation and creativity speakers, inspiration, inspirational speakers, Inspiring motivational speaker, Kaihan Krippendorff, keynote, keynote speaker, leadership, Leonard Brody, Luke Williams, motivation, people, personal story, polly labarre, professional speakers, Rohit Bhargava, sekou andrews, social media, speaker, speakers who educate, TED Conference, Terry Jones. Bookmark the permalink.